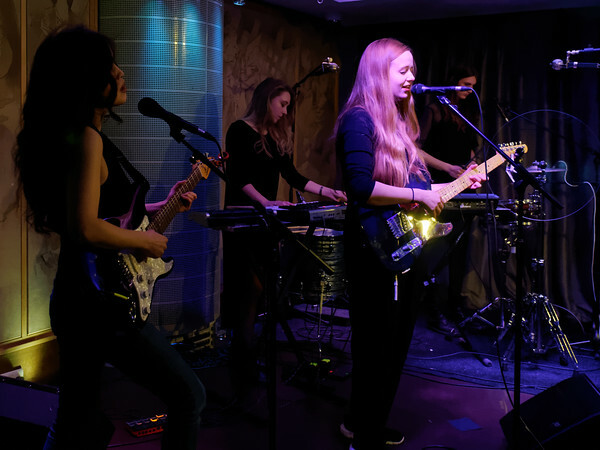 The top floor of the Hospital Club near Tottenham Court Road, London, was the host for Secret Sessions this week. With Secret Sessions, as the name suggests, the line-up isn’t openly advertised in advance. Instead, artists featured may mention they playing a secret show “in London”, and you get the details after signing up. My lead to this night was Oh Sister. Although for me this was the least-secret part of the night, I actually knew very little about them, as they have a relatively thin online presence. What I did know was how much I liked their first EP Watch the Water. Their music has a real sense of atmosphere, whether it’s with layered synths, samples, electric guitar and percussion, or stripped all the way down to strings and voice. The voice belongs to Sarah, and completely fits with the rich overall sound. The live sound is broadly similar to that of the record, which is no bad thing. This was only a short set, as it turned out they were the support act. But it was nice to put faces to the music, and the fact I only recognised one song from the EP gives hope there is more to come from them. 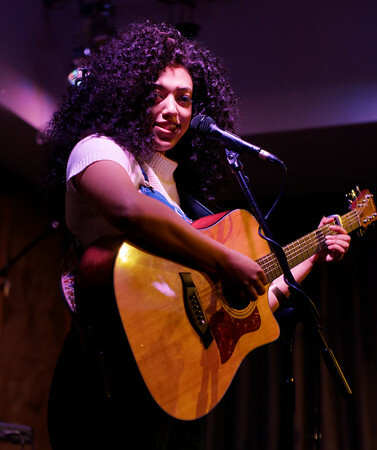 The main act was Mahalia, who was completely new to me. There’s an argument that the basic unit of live performance is the singer/songwriter with an acoustic guitar. On any given three-act bill, there’s a decent chance the first person will be a soloist with a guitar, normally singing about past partners. Consequently, it’s a hard thing to do in a way that is distinctive and interesting. The impressive thing about Mahalia is that she took this pattern and made it worthy of a headline act. Where there may have been crowd noise at the start of the song, the room would always be completely silent by the end. Her guitar playing is technically superior to the average chord strumming, but the real value is in her voice, which danced around and demanded attention. The song writing mainly covered growing up through her teenage years. I initially found this a little strange and backward looking as, owing to the maturity of her performance, I didn’t realise she’s yet to turn eighteen. There is an awful lot of potential here. Having since listened to some of her recordings, I think she was actually better live, so I’d recommend getting to a show sooner rather than later.